This waste paper bin is so pretty and will add a stylish addition to your home. Crushed velvet covering that will fit in with a girly interior. 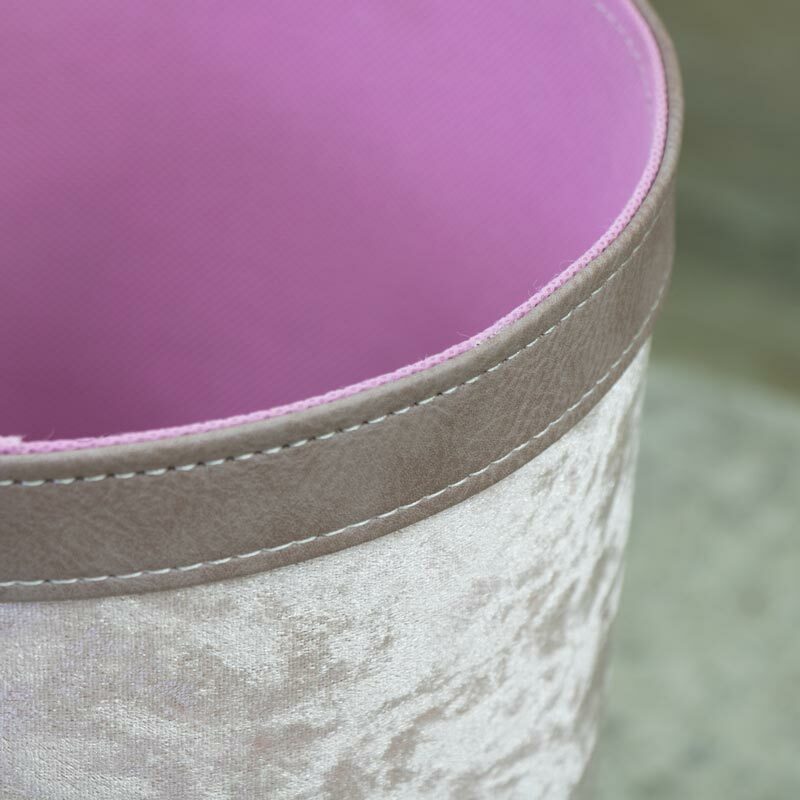 So much better than a drab metal waste paper bin, this one comes with a pale pearl pink crushed velvet covering that will look great in a girly bedroom or boudoir for holding rubbish and waste paper. This can also be used as a basket if you do not want to use as a bin, making a pretty storage basket. This waste paper bin is so pretty and will add a stylish addition to your home. Crushed velvet covering that will fit in with a girly interior. 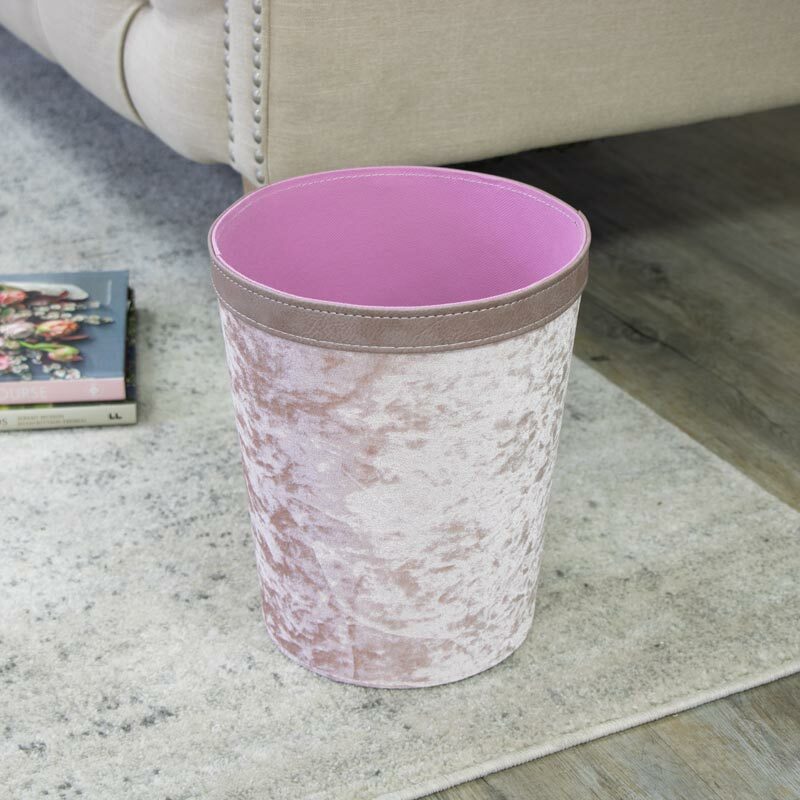 So much better than a drab metal waste paper bin, this one comes with a pale pearl pink crushed velvet covering that will look great in a girly bedroom or boudoir for holding rubbish and waste paper. This can also be used as a basket if you do not want to use as a bin, making a pretty storage basket. This waste paper bin is part of our fabulous range of gifts and home accessories.